This chair is a collaboration between myself and good friend Peter Holmes from Be Seated upholstery. Over the years Peter and I have worked together on numerous commissions so we decided to build on this experience and collaborate to create something more cohesive and unified using traditional furniture making skills. We wanted to create a piece incorporating soft lines that had an inviting presence. An obvious focus of attention was comfort where the user feels enveloped by the chair but is able to shift their position easily. 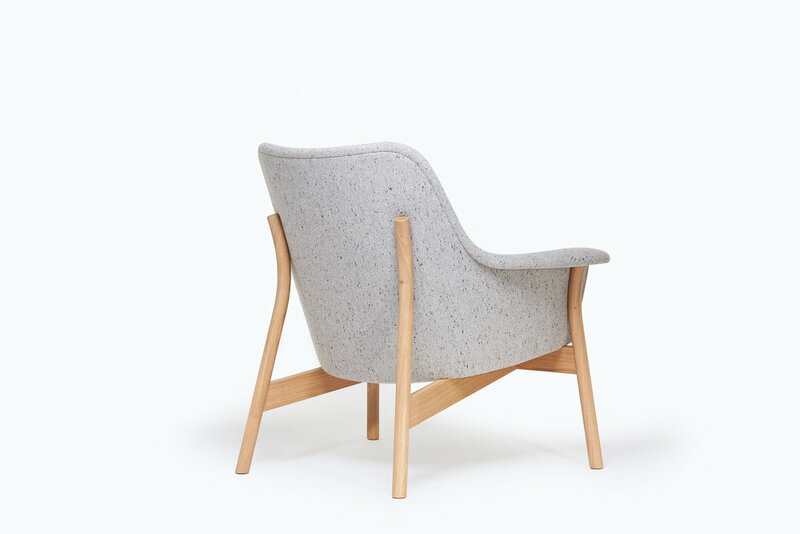 The oak frame has a hand woven new wool fabric by Mourne Textiles, produced in Northern Ireland. The walnut frame also has a new wool fabric, designed by Eleanor Pritchard Studio which is produced in Scotland. Bespoke fabrics are available on request. If you wish to place an order, please get in contact for information on pricing and delivery. Each chair is hand crafted by myself and Peter and is made to order.